CheriB Designs: Lottie & Tillie! Today is New Release day over at Digi Doodle Studios!!! I'm so excited for these new digital stamps from the "Believe In The Magic" Release! 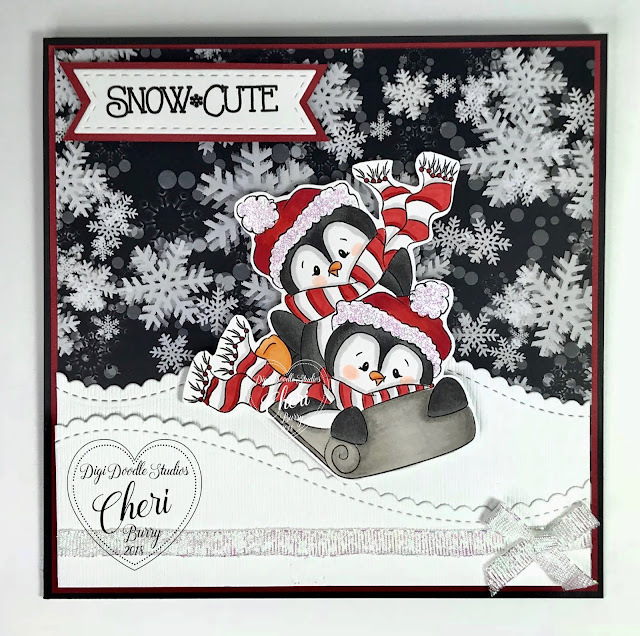 Christmas is my favourite Holiday so I always love making cards with Xmas/Winter themed images. Let me introduce you to "Lottie & Tilly"! Penguins always hold a special spot in my heart as my Grandma loved them. Every time I see one it reminds me of her and I feel her love surrounding me! I love the "Black & White Christmas" Digital Paper from DDS. I love Black and Red as a colour combo as it always just pops off the page! I coloured my Penguins with my Copic markers and then fussy cut them out. I popped them up on my winter scene with some foam tape for added dimension. Some crystal Stickles add that bit of bling I love! 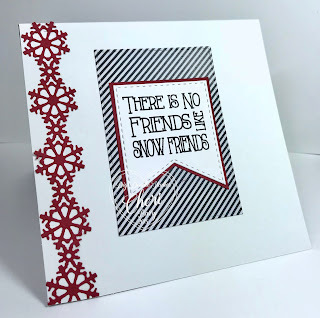 Both of the sentiments on may card are also from DDS and are from the "Snow Wishes" Digital sentiment set. 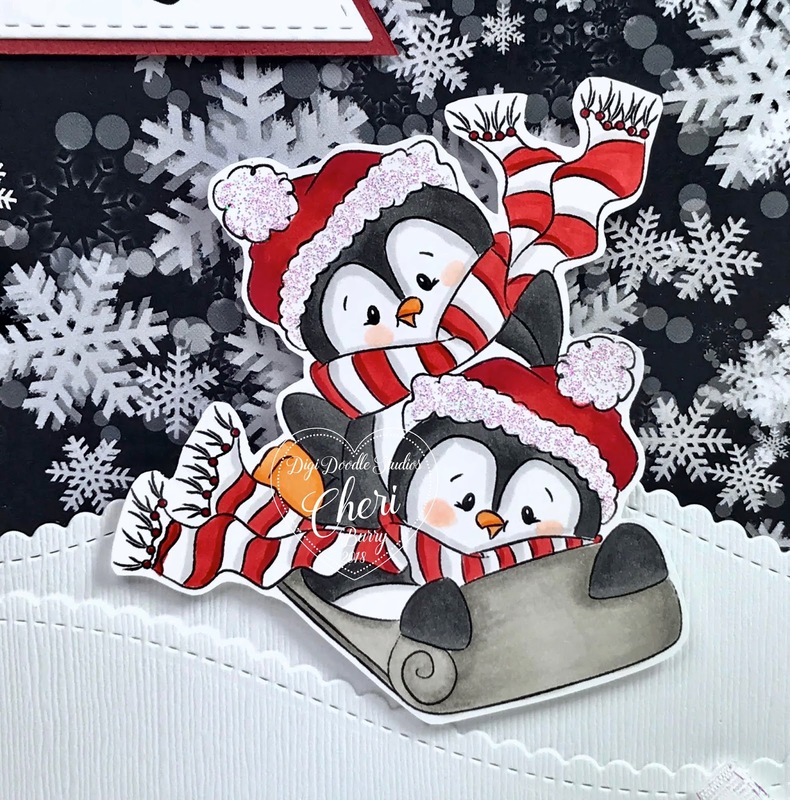 Don't forget to join our Digi Doodle Studios Fan Group over on Facebook. 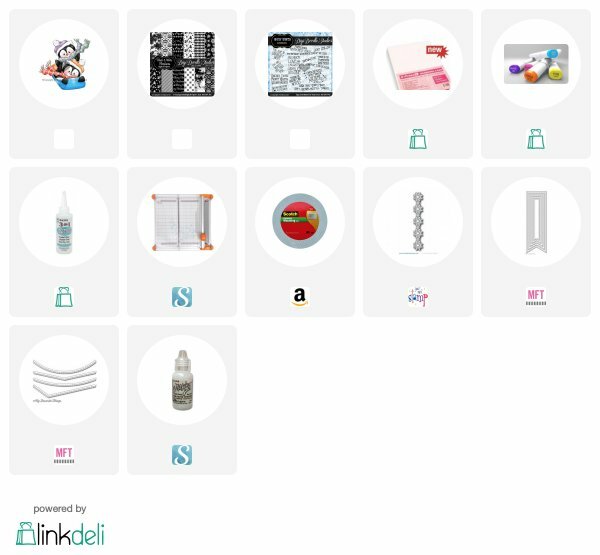 The Design Team will inspire you with all their gorgeous creations! P.S. Thanks Donna for the help on adding the ribbon and bow after the fact! !